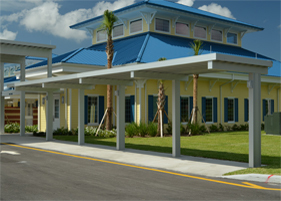 The outdoor area of any commercial business can use shade and cover to make the most out of your business entrance, lounging area, and even windows. 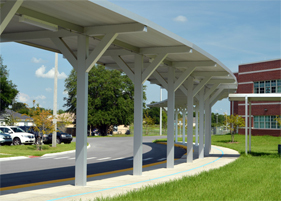 The biggest question to ask yourself is, where will you need sunshade and what benefits can it bring you? There are a wide range of styles and models for any type of outdoor area, and each one can add a personalized touch to your business while adding variety and value to your property. 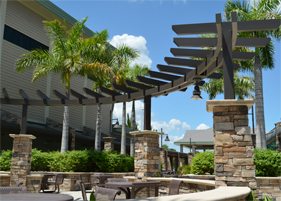 It’s recommended that you cover any type of lounging or sitting area with sunshades to protect patrons from the sun. Your restaurant could benefit from aluminum sunshades by covering outdoor seating. This can greatly increase your business and seating capacity in addition to giving your patrons protection from the sun and the option to dine outside. Sunshades are also a great addition to windows and entrances if you are a business owner looking to decrease your energy costs during the summer months. Hotels and apartment complexes can also incorporate sunshades onto their property by having sunshades installed throughout the jacuzzi and pool deck. If your guests and residents want a place to relax outside without the sun beating down on them, sunshades can provide these popular areas with a getaway from the heat. Aluminum sunshades are also ideal because they don’t rust and they require little to no maintenance. Sunshades are very suitable for open areas, especially for commercial properties that offer outdoor seating and lounging areas. It’s important for those who like spending time outside to be protected from the sun, and installing sunshades can help protect you against damaging UV rays. 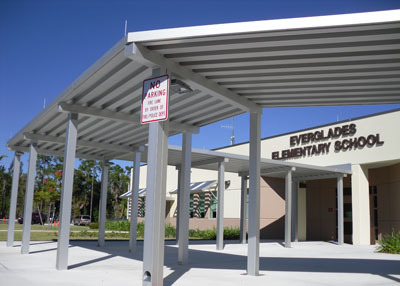 Aluminum sunshades can also decrease the temperature of the area by up to 20 degrees! You will feel the difference immediately after installing your aluminum sunshades. If you’re looking for a great way of saving on energy costs, protecting guests from the sun, and adding value to your commercial property, Perfection Architectural Systems can provide your business with the most convenient and economical ways of enhancing your business. 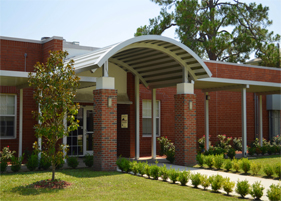 Call us today at 800-238-7207 to learn more about our aluminum awnings and sunshades, and the services we offer.